Join the Bush Radio Open House on the 1st May 2015 for a double celebration of 22 years of broadcasting and launching our digital studio. 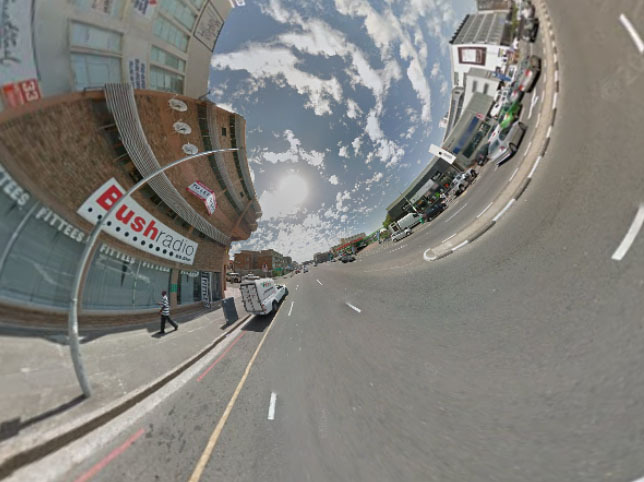 Bring your family and friends, and take a tour of our premises. For more information, call 021-448 5450. 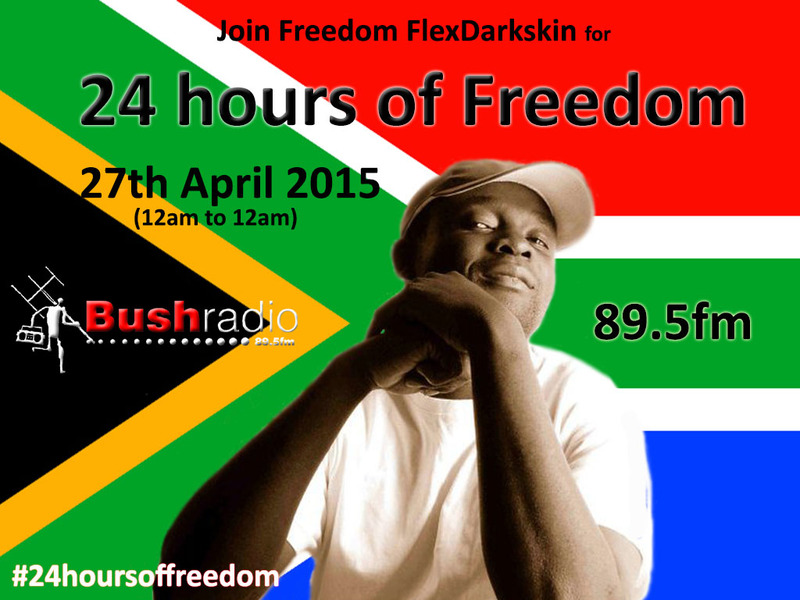 On Monday, 27 April 2015, South Africa’s Freedom Day – Everyday People host Freedom FlexDarkskin will attempt to broadcast for 24 hours straight on 89.5fm and online via www.bushradio.co.za. He will host all the Monday programming on Bush Radio 89.5fm from 12am in the morning until 12pm that night as we celebrate Freedom Day 2015 with 24 hours of Freedom. Besides Freedom hosting from the Breakfast Rush to the Wrong Rock Show he will also be highlighting what Freedom Day means and you are invited to call (021 448 6266), or SMS (32158) or participate via twitter, facebook and instagram (#24hoursoffreedom). Besides some of the serious stuff and excellent music – Freedom will be giving away loads of prizes – ranging from bluetooth speakers to stationery. 24 hours of Freedom is being produced by the other host of Everyday People, Sive Msolo. 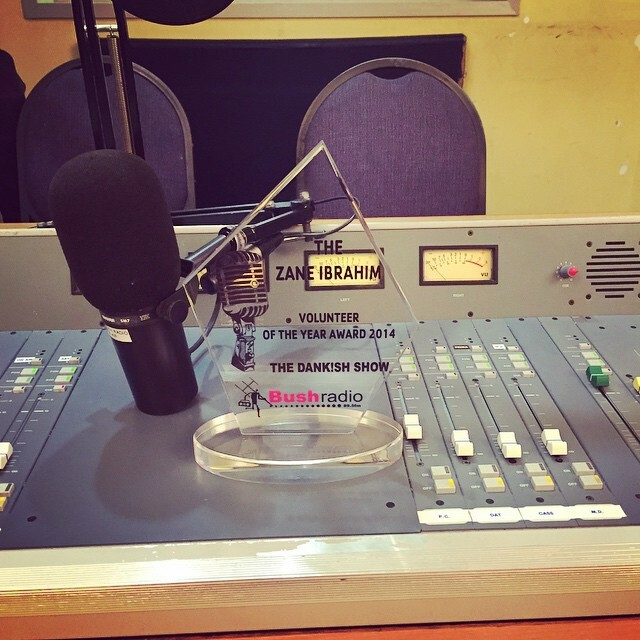 At the monthly Open Forum meeting tonight (9 April 2015) it was announced that the 2014 Zane Ibrahim Volunteer of the Year award goes to the entire team of The Dank!sh which is broadcast every Saturday on 89.5FM from 6pm to 8pm. Congratulations. He is know to take any opportunity at the station to take a selfie – always be ready to put on your best pout because he is there and his name is Yuzriq Meyer, Bush Radio’s unofficial “selfie-king”. Recently we gave Yuzriq a selfie-stick and asked him to get selfies with some of the staff and trainees who sometimes hide from pictures. Visit Bush Radios’ Instagram account and check out some of these pics.